This project is from an advertising course that I took while attending Montserrat College of Art. 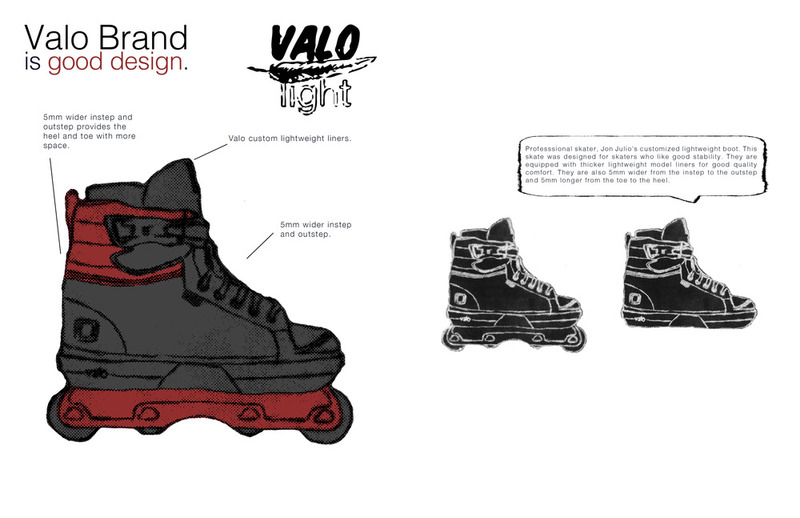 The idea of the assignment was to choose a product that was categorized as a "soft good" so I chose a brand of aggressive inline skates called the Valo Jon Julio Lights. We were assigned to make an advertisement discussing the concepts of the soft goods that we chose. I chose the JJ Light skate because it was known as a strong revolutionized skate. The images that are included in each billboard were hand crafted using a plastic sheet with the designs etched into the with a needle point tool. I printed these using a big roll-through press in the school's print making lab.